Bencollaghduff means ‘peak of the black hags’. The black hags in question are cormorants [TR]. The OSI form Binn Dhubh represents a prescribed standard modern Irish form. Tim Robinson's Binn Dubh represents the local dialect, which omits lenition of d and t when the previous word ends in a dental consonant. 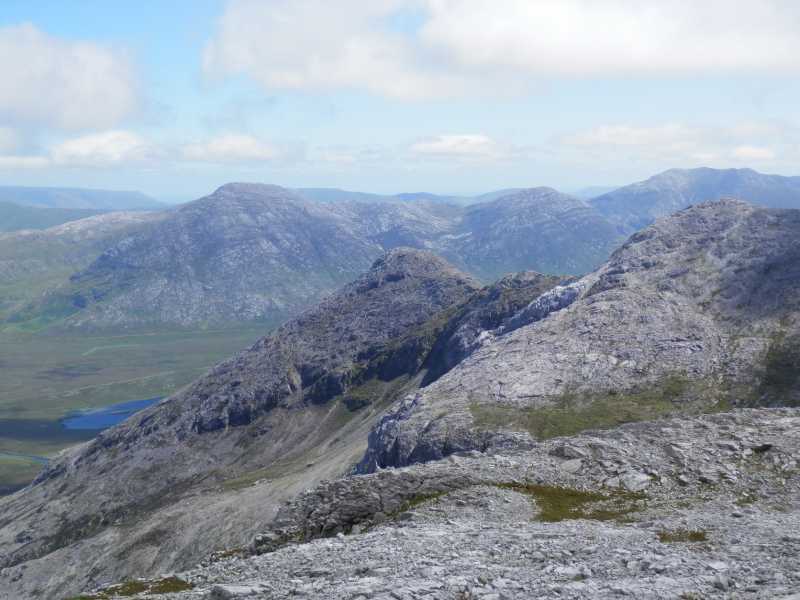 Binn Dubh is the third highest mountain in the Twelve Bens area and the 119th highest in Ireland.